44-D’s Virtual Red Carpet to the Oscars® ~ Not too late to vote! Great news! 44-D has been given official press credentials by the Academy of Motion Picture Arts and Sciences®. 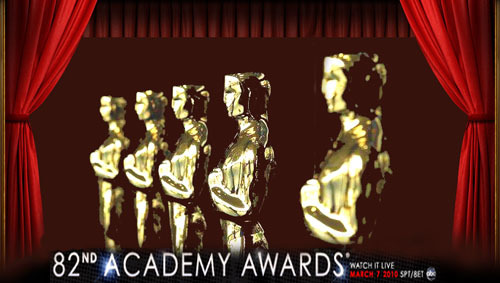 We’ll be bringing you up to date information on the 82nd Academy Awards® nominees, films, and ceremony activities. This year’s Oscars® should be very interesting due to the fact that they are expanding the Best Picture category to include ten films instead of five. Please feel free to use our downloadable/printable 44-D’s Oscars® Voting Ballot to predict the nights winners. Predict the winners using this downloadable/printable Oscar ballot. Test your Oscar smarts with this Academy Awards-themed crossword puzzle.